Welcome to Day #12 of Chocolate and Halloween wEEKs. 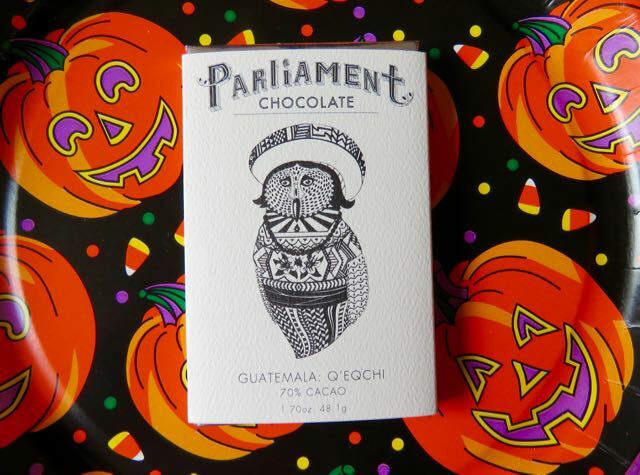 Today's Guatemala Q'Eqchi 70% Cacao bar (Batch #000131) was crafted by Parliament Chocolate, a bean-to-bar maker in Redlands, CA. 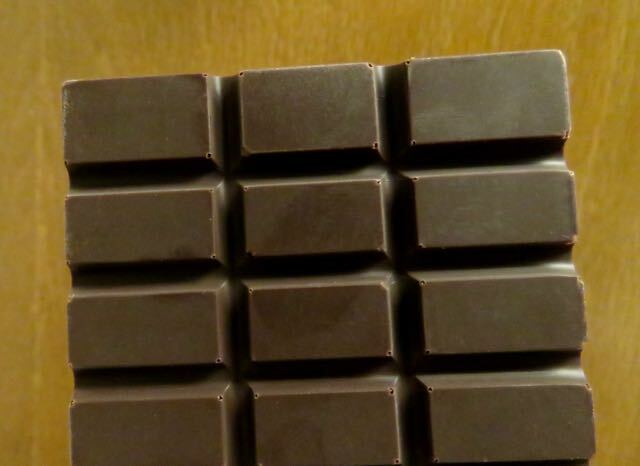 The two-ingredient (cacao and cane sugar) bar had a relatively fruity dark chocolate aroma (cherry yogurt, plum/prune with a faint spice and brown sugar note). The bar had a smooth texture and balanced, complex flavor—with red fruit/berries and light roasted coffee/earth notes.